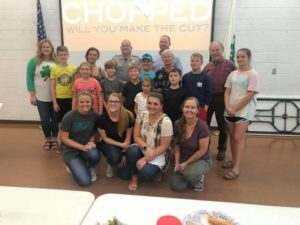 Pender County 4-H held its first ever ‘Chopped Challenge’ from Monday, July 30 to Friday, August 3, 2018, at the N.C. 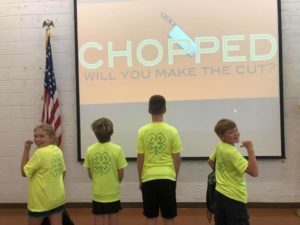 Cooperative Extension of Pender County office in Burgaw. 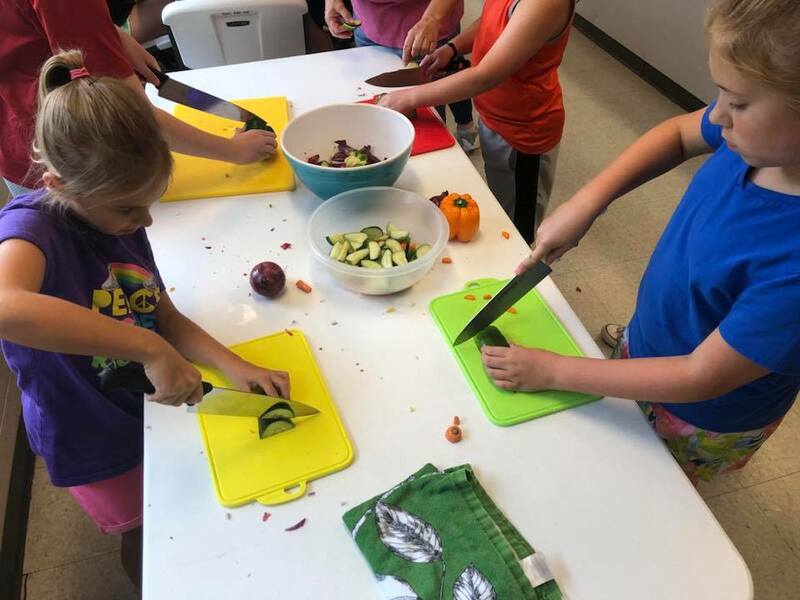 Eight 4-H youth ages 9-12 participated in this week-long camp where they developed their food preparation skills and confidence in the kitchen! They cooked several different recipes, including breakfasts, lunches, dinners, snacks, and desserts. 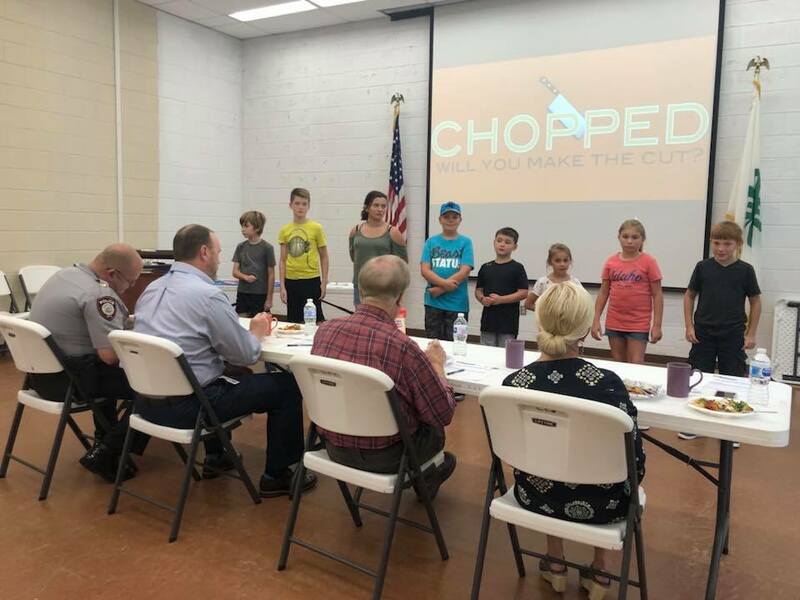 They learned about food safety and knife skills, and competed in different challenges throughout the week to earn tools or extra time in their final Chopped Challenge held on Friday. 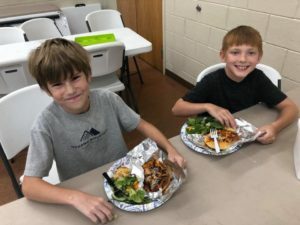 In the final challenge, youth had to plan a meal for four, and make two of the items on their menu, without any adult help. 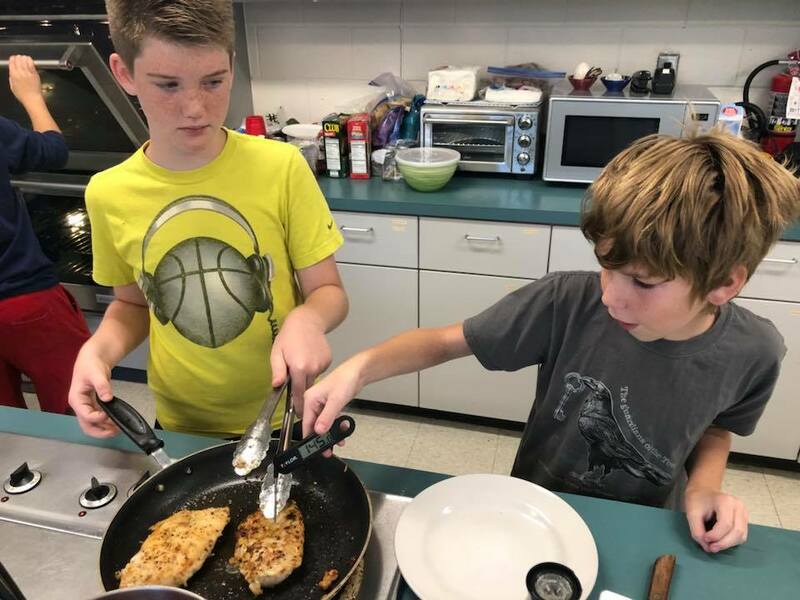 Youth prepared all week for their final ‘Chopped’ Challenge, by researching recipes, planning their menu, deciding which meals to cook, and making shopping and equipment lists. On Friday, they had around three hours to complete their challenge, including cooking their food, cleaning their spaces and washing dishes, and presenting to our judges. 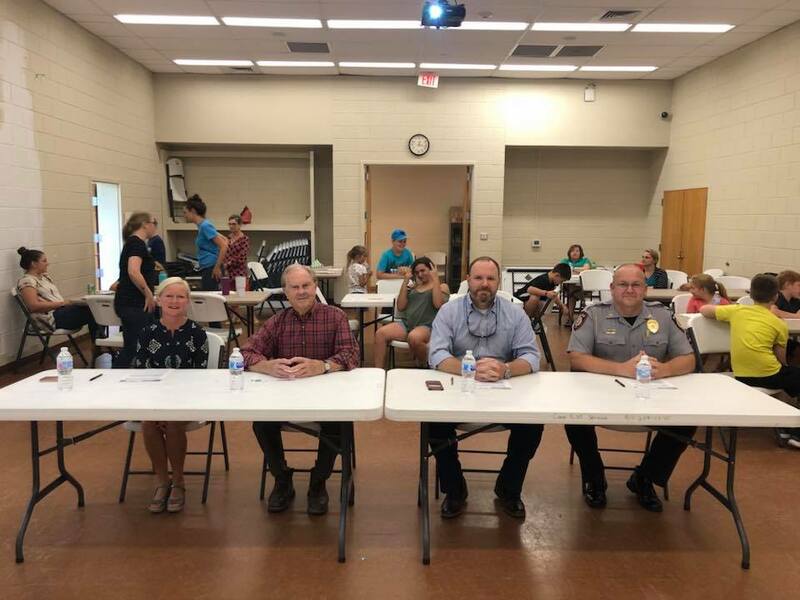 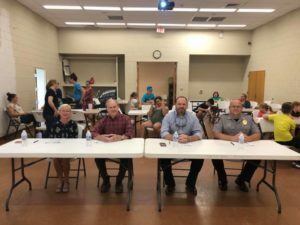 We had four fabulous judges: current Buddies 4-H Club Leader Jennifer Hansen, Burgaw Mayor Pete Cowan, Burgaw Town Manager Joseph Pierce, and Burgaw Police Chief Jim Hock. 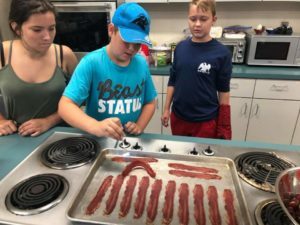 The runner-up team, the Burgaw Baconators, made delicious bacon & swiss waffles with fruit and coffee. 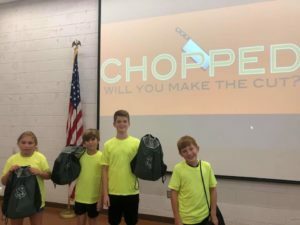 The champions were the Cherry Bombers, who cooked spaghetti and a baked chicken salad. 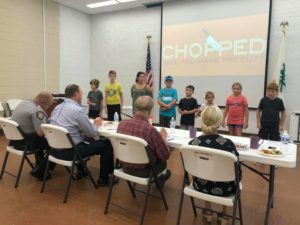 Congratulations to all youth who participated! 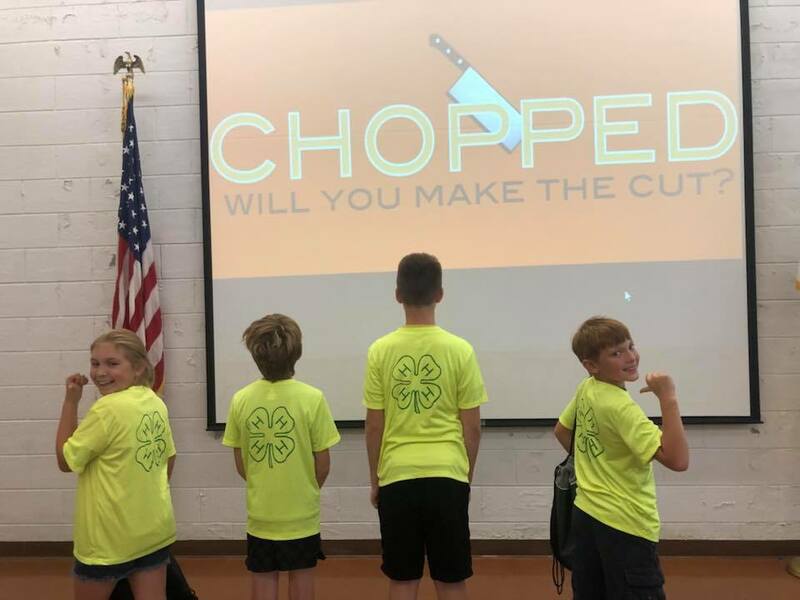 We hope you learned a lot and had fun at the 4-H Chopped Challenge! • Is Malnutrition or Dehydration Impacting Your Health?